**ON SALE NOW** Flat Post top with nice profile. 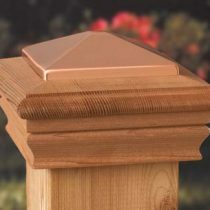 Choose from Cedar or YPT in the 4×4 post cap and Cedar in the 6×6 post cap. Available for regular 4×4 post tops or 6×6 post tops. 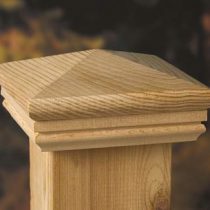 Choose a solid top or a center hole to add a decorative post finial. **ON SALE NOW** Flat Post top with a nice profile. Available for regular 4×4 post tops or 6×6 post tops. 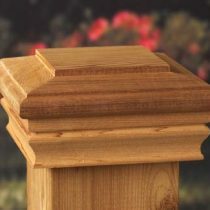 Choose from Cedar or Yellow Pine treated material. 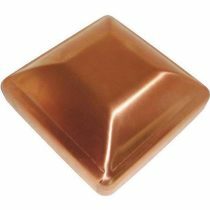 **ON SALE NOW** Nice rounded cap available in Solid Copper, Galvanized or Heavy Duty Aluminum. 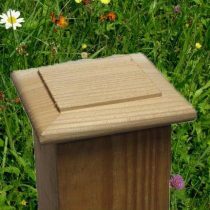 Available to fit a 4×4, true 4×4, 6×6 and true 6×6 post top. **ON SALE NOW** Choose from Antique Ivory or Oil Rubbed Bronze. Available for 4×4 Post caps only. Deckorators Post cap. Choose from a leaf pattern or Labyrinth Design. Available for 4×4 posts only. **ON SALE NOW** Stained Glass Deckorators cap. Choose from a leaf pattern or Chevron Design. Available for 4×4 posts only. 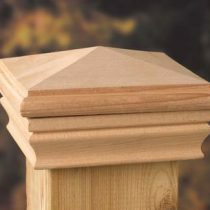 Choose from 9 different styles of treated finials. 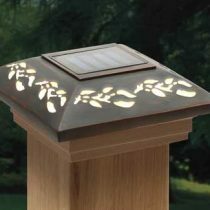 Perfect for any deck, mailbox post or porch. 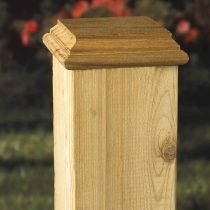 **ON SALE NOW** This treated post top is for a true 4×4 post top. 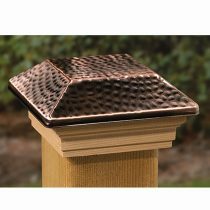 **ON SALE NOW** Deckorators Post cap in a hammered design. Choose from copper or stainless steel finishes. Available for nominal 4×4 posts. 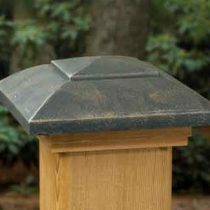 **ON SALE NOW** Deckorators Hatteras Flat top post cap is available in Cedar and YPT. Available for 4×4 posts only. 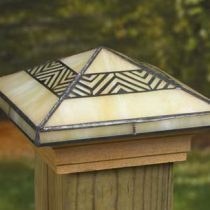 **ON SALE NOW** Deckorators Hatteras Pyramid post cap is available in Cedar and YPT. Available for 4×4 posts only. 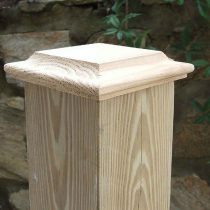 **ON SALE NOW** These post tops are made here at our Capitol City Lumber woodshop. 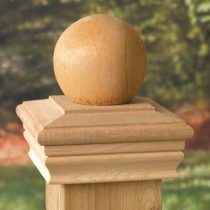 Available solid or with a center hole for finial. Designed to fit nominal 4×4’s and 6×6’s. **ON SALE NOW** Deckorators Newport Ball Cap comes in Cedar and YPT. Available for a nominal 4×4 post cap only. 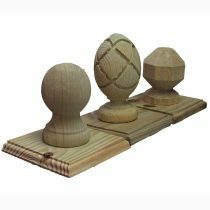 **ON SALE NOW** These caps provide a simple way to decorate and protect the top of a post. Post caps are available for a 4 x 4, or 6 x 6 post. Available in cedar or yellow pine treated (YPT). 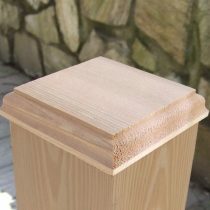 **ON SALE NOW** These caps provide a simple way to decorate and protect the top of a post. 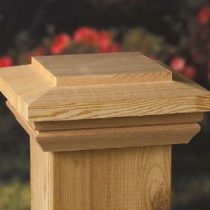 Post caps are available for a 4 x 4, 4 x 6, or 6 x 6 post. Available in cedar or yellow pine treated (YPT).